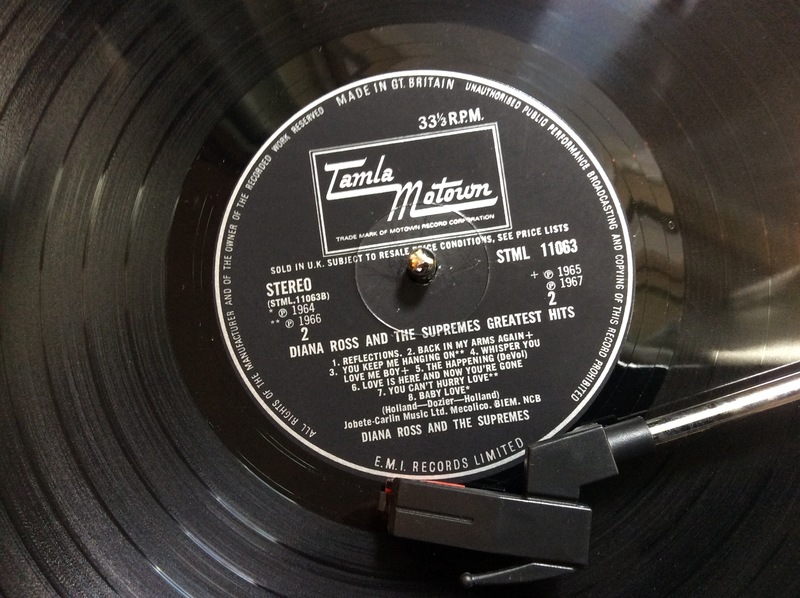 I grew up in the days of vinyl – 45s, 33s and 78s. Then we had CDs and finally streaming. It was somewhere between two and three that I ditched my old record deck set-up and embraced new technology. I’m still very much into streaming and my Premium Spotify account is definitely one of the best outlays I make each month. However, while in a charity shop in July 2017 I came across some Diana Ross albums. The memories came flooding back, and just looking at the Motown label, the cover and of course the vinyl itself, stirred up something deep within. The desire to get my hands on some records once more. I’ve now got a 1970s Bang & Olufsen record deck in very good condition and a Crosley record player. Plus a growing collection of vinyl. I’m not a serious collector, I won’t be visiting specialised events and paying huge amounts of money. It’s more the fun of browsing charity shops and picking up albums for £1 each that appeals to me. Like it was when I was younger, it’s still all about Tamla Motown / Motown as well. We all change as we grow older, but some things never change.